Hospital Records artist Reso opens his studio doors to share the pro DnB techniques involved in producing his chart-topping anthem 'Move It'. Follow through the tutorials as he meticulously deconstructs the drums, bass, melodic and vocal parts, as well explaining the mixing and mastering of the track, which you can listen to below. In this first module, Reso introduces the track and breaks down the course structure. Jumping straight into the drums, he begins by showing how the main kick and snare groove was created, including the sample selection and processing applied. Continuing the drums, Reso explains all of the additional sampled and synthesised drum parts that make up each section of the track. From taming volume envelopes to applying compression and distortion, every aspect of the individual drums and percussion is revealed. In this module, Reso compares the drums pre and post the drum bus processing. He breaks down the group processing, showing how the huge DnB drums sound is achieved. In the last drums module, Reso looks at how the drums are arranged and processed throughout the intro section. He discusses creative FX such as reverb and delay, before demonstrating some novel techniques to add interest to the sound. This second bass lesson explains the remaining bass elements, before talking about the various bass group processing effects to create the enormous, dirty bass sounds inherent to Reso's style. In module 7, Reso moves on to the melodic and polyphonic elements of the track. Beginning with the instrument plugin, Reso explains the sound's conception, before moving on to detailed FX chains which include automated filters, distortion and subtle reverbs, amongst many others. This module shows how different FX sounds are used to embellish the intro section. 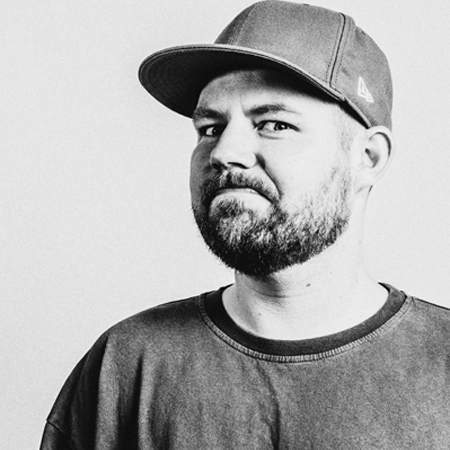 Reso talks about his sample choices and the automation he uses to modulate the sounds. This second FX module continues looking at the different continuous and brief FX sounds that punctuate the arrangement. Using a variety of plugins, Reso takes the original sounds and turns them into aggressive and dramatic interludes for the track. The course ends with a quick look at the master bus, showing how the mix is finished off and how to create pre-masters and alternate versions for playing out. Reso walks through the plugins on his main output, demonstrating how he has used Izotope Ozone to EQ, limit and add harmonic excitation.